IRHS presents “Legally Blonde: The Musical!” Abby Wilson (center) plays “Elle Woods,” the perky sorority girl who gets serious and goes to Harvard. 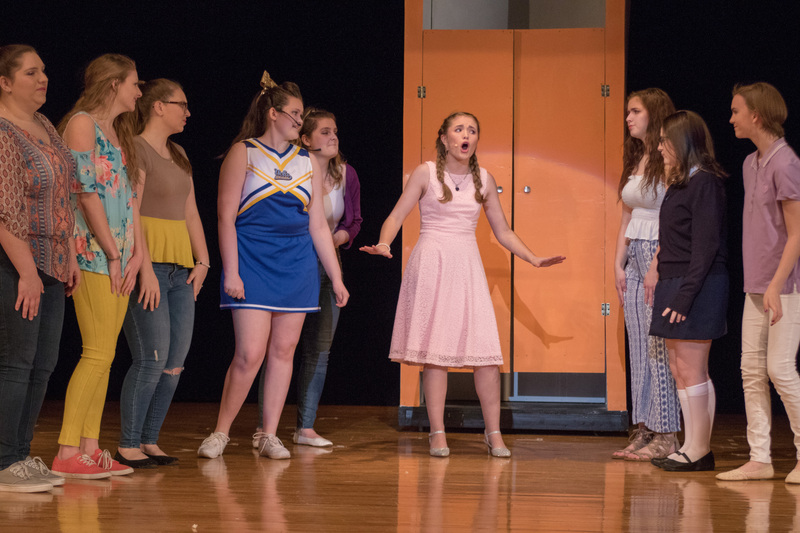 There will be three performances: Friday, April 12, at 6:30 p.m., a Saturday matinee at 2 p.m. and Saturday at 6:30 p.m. Tickets cost $10 each and may be purchased at the door. 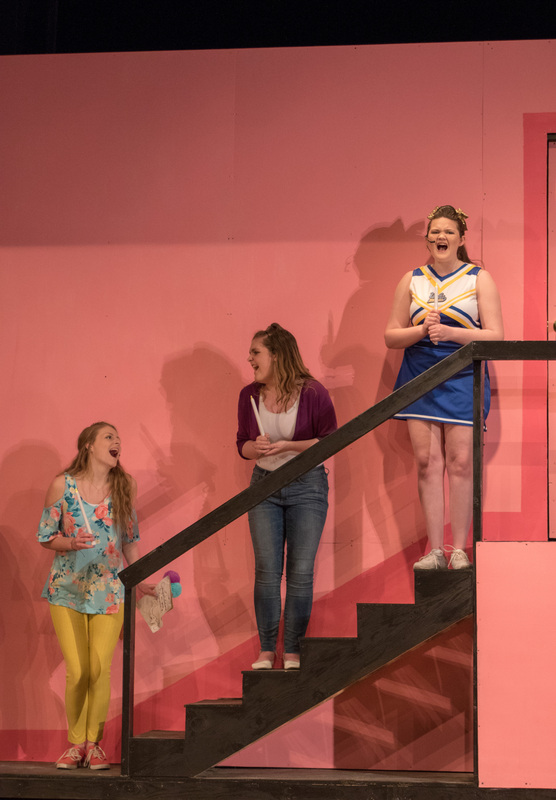 The story follows the journey of the perky Elle Woods (played by sophomore Abby Wilson), a fashion-savvy UCLA sorority girl who finds her life turned upside down when she is dumped by her boyfriend. She follows her ex to Harvard Law School, decides to get serious about her studies and catches the eye of her mentor (played by junior T.J. Oxbrough). Audiences can also support their favorite cast members. The IRHS Band Boosters will be selling candygrams and flowergrams to send to the student performers. People can place their order before the curtain opens or during intermission. All proceeds help fund future productions at IRHS. For more information, contact the boosters at irbandboosters@gmail.com.